Furcation's first event was in 2016, but the roots go further back than this. 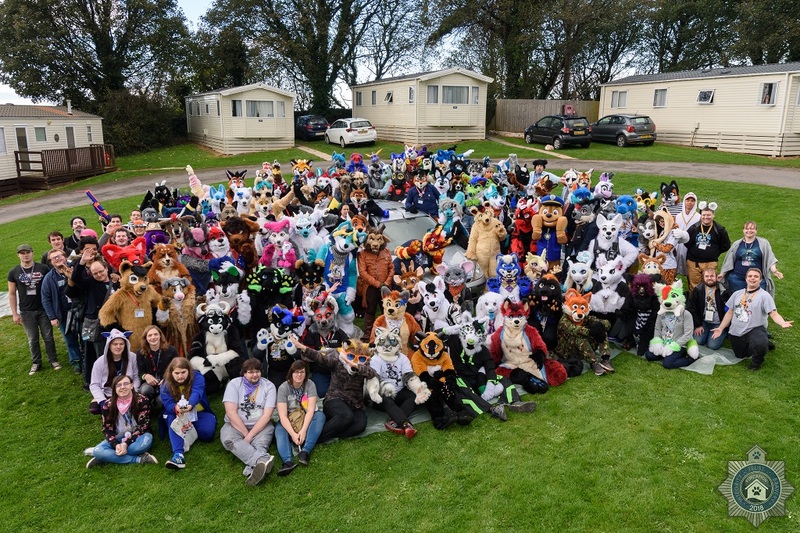 Based on an idea to run a furry weekend in a holiday park, and taken from the back of the popular event 'Frantic Eufuria', work began to bring 'a new breed of furry event' to the fandom. Plans started to be drawn up in 2015, where Furcation was going to take place at Warren's Holiday Village in Clevedon. Contracts were signed, social media was buzzing with the concept of a new event hitting British shores. However, Warrens pulled the plug four months before the event was due to take place, so Furcation 2015 did not go ahead. Undeterred, the staff hunted for another host for Furcation, and John Fowler Holidays came to the rescue. A lot of discussions, sleepless nights and gallons of coffee/tea/caffeinated beverage of choice, and Furcation 2016 planning got under way! Furcation 2016 took place on the 14th - 16th October 2016. It was held at John Fowler's Combe Martin Beach Holiday Park in the small, quiet town of Combe Martin. We had 92 arttendees, of which 48 were sponsors. We also raised £530 for our chosen charity for that year, Secret World Animal Sanctuary. Furcation was entering a territory of unknowns, however the event went down a blast. It even had the staff of John Fowlers Holidays wanting to come to the park to see what was going on. Furcation's theme for 2016 was semi-chosen after the event, as we were going for the typical holiday park vibe, that is what we dubbed the theme for year one. Furcation 2017 took place on the 13th - 15th October 2017. It was held for a second year at John Fowler's Combe Martin Beach Holiday Park. We had 217 attendees, of which ___ were sponsors. We raised £2037 for our chosen charity for that year, which was the UK Wolf Conservation Trust. Furcation started to theme their events this year, and this was 'Pirates of Combe Martin', which will be forever etched in the minds as the year of the flashing pirate swords and the time somebody turned their car into a pirate ship! Furcation 2018 took place on the 12th - 14th October 2018. It was held at a new site for us, John Fowler's Sandaway Beach holiday park, just down the road from our old venue. We had 341 attendees, of which 173 were sponsors. We raised £1677.20 for our chosen charity for that year, which was Pete's Dragons, a charity to aid suicide prevention. The theme for 2018 was Paw and Order : Here Comes The Fuzz, a chance for attendees to decide whether they wanted to be on the side of good, or evil. There was even a fully working police vehicle on show, though don't remind the staff about the marquee. And we come to Furcation 2019. 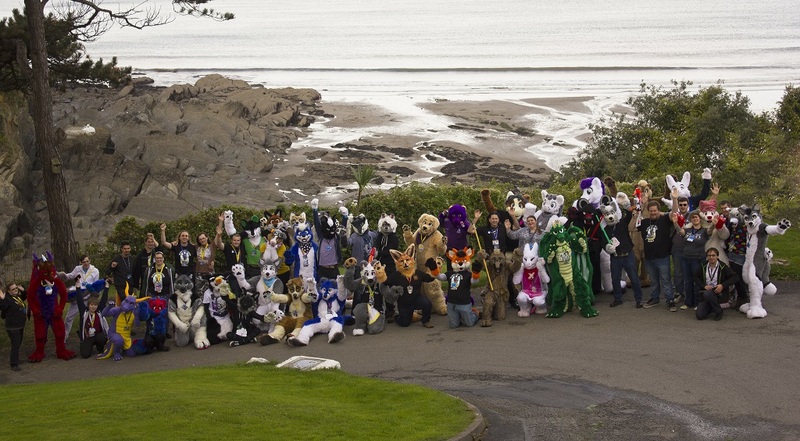 Furcation 2019 will take place on the 8th - 10th November 2019. It will be held at another new site for us, which is John Fowler's flagship park, Sandy Glade Holiday Park in Brean, near Burnham-On-Sea. What adventures will come from Furcation 2019? There is only one way to find out!